When visiting London and England in general, it is a lot easier to plan and to navigate than many other countries and cities. The simple reason for this is the size of the city and country. Despite having a population three times the size of Australia, England could fit inside Australia over 31 times. The benefit of this for tourists is that you do not have to travel long distances between attractions and can tick many items off of your list in just one day. London car hire is cheap and will allow you to explore the city quickly and efficiently. Here follows a list of the top places to visit in London. 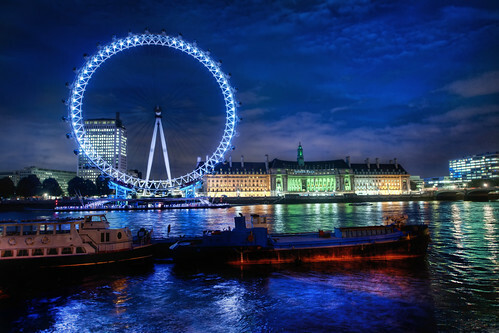 The London Eye is an obvious place to start because it will provide you with a view over the city which cannot be rivalled. I would however urge that you wait for the right moment and time your ‘flight’ so that you are at the top during sunset. The beauty that this adds to the trip is well and truly worth it, and given the early sunsets in England, you will finish just in time for dinner alongside the river Thames. When using the London Eye, it is worth considering booking a ‘champagne flight’ which will provide you with a less crowded carriage and champagne to drink whilst you look over London. The British Museum is one of the best collections of human history in the world. With free standard entry you will be able to see the best and worst of human history from prehistoric ages to the modern day. The exhibitions are interactive, informative and exciting. Even if you don’t really like museums, the British Museum is definitely worth a visit. The Tate Modern Art Gallery houses a collection of everything from Damien Hurst to Gauguin. The building stands tall on the banks of the river Thames in a decommissioned power station which gives it a striking and imposing image. Entry is free and the views from this building alone make it a worthwhile destination. The National History Museum boasts one of the best collections of dinosaurs to be found anywhere. The dinosaur bones are a pride of the nation and they stand alongside some of the tallest and rarest animals known to man. Entry to the museum is free but some exhibits are ticketed. The famous Madame Tussauds needs little explanation. Come face to face with some of the world’s most famous actors, politicians, singers and footballers. Madame Tussauds offers an opportunity to really meet the Queen face-to-face. 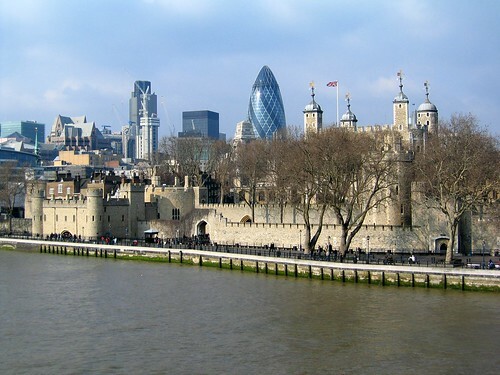 The Tower of London is one of the world’s most famous buildings. Its 900 year history as a prison, palace, jewel house and execution centre makes this building a remarkable place to visit. Take this opportunity to walk through a King’s bedroom and see the Crown Jewels for yourself. When visiting London it is important to plan ahead so that you can make the most of each day. Arrange for car hire Heathrow so that you are ready to begin your explorations straight away. There is so much to do that it will be easy to get distracted, but you will never be bored as you drive your rental car around. Next PostNext Dubai – here we come!! !